Toolset development is an extremely broad topic. 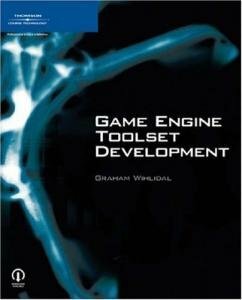 Game Engine Toolset Development provides you with a core set of skills and a comprehensive insight that will aid you in the development of game engine utilities, significantly reducing the time period associated with the construction phase of a project. The book starts off with topics regarding development methodologies and best practices, and then proceeds into advanced topics like swap chain management and MVC object model automation with CodeDom. An introductory working knowledge of C# and the .NET 2.0 framework is expected, allowing the content of each topic to be directed towards the subject and avoiding trivial and introductory explanations. Readers are not required to have any experience developing game engine tools. Terminology and design fundamentals specific to toolset development are clearly depicted and explained. The companion Web site provides downloads of all source code from the book, as well as several bonus chapters.